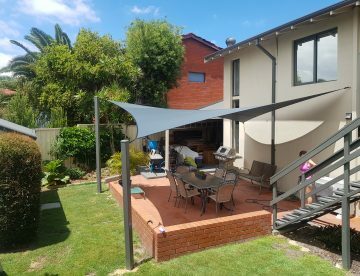 Producing and installing shade sails for residential and commercial areas like swimming pools, patio areas, courtyards, playgrounds, car parks and entertainment spaces all over the Perth metro area and beyond. 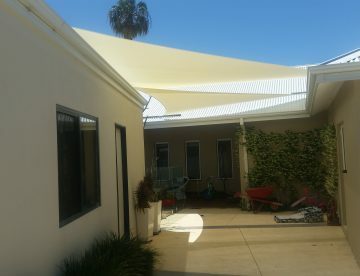 Shade & Sail Innovations is able to provide you with a unique shade covering system designed and engineered to suit our local conditions. Shade Sails are made in a large variety of popular sizes and colours, and are made to measure to suit nearly any application. Our mission is to provide our customers with friendly and prompt service, quality products, delivered in a timely manner. 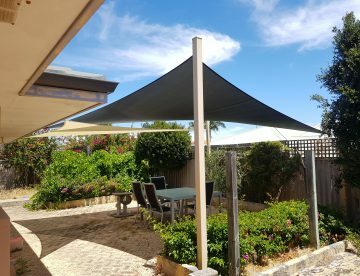 Shade & Sail Innovations produces a range of customised shade sails and shade structures, with all of our designs made and engineered for the Australian climate. 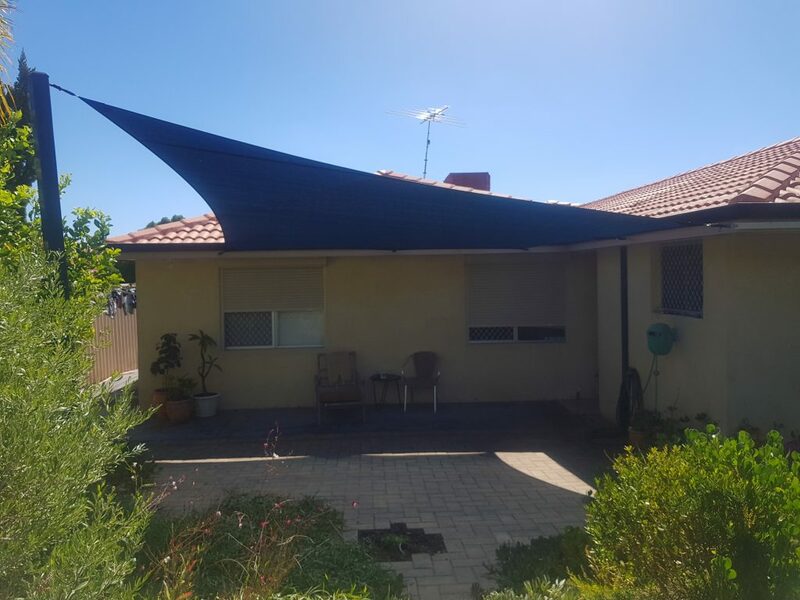 Our designs have been made for both the residential and commercial markets, with our Perth-based business also acting as a wholesaler to the shade sail industry. Here at Shade & Sail Innovations, all of our products have been designed and engineered to meet the highest quality standards. Along with our great products, we take immense pride in providing our customers with quick and friendly service with a smile. The shade sails produced by Shade & Sail Innovations have been made to suit all environments, with a large variety of sizes and colours available. Our custom shade solutions are made to measure and perfect for almost every location. 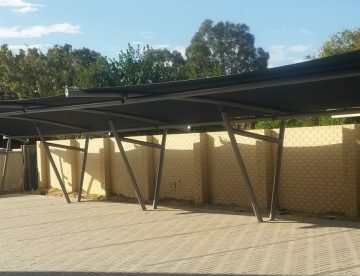 Our shade sails Perth workshop features a sewing loft and advanced steel fabrication unit with the ability to produce shade sails for a range of applications. With access to advanced technology and the best computer software available, our talented team can design and manufacture shade cloths and canopies to suit your needs. Shade & Sail Innovations offers a variety of styles to meet your needs. When you order your products, you can choose from a range of colour combinations, with the functionality of our products only matched by their sophistication and style. Depending on your needs, you can use our designs for pool coverings, barbecue and entertainment areas, patios, decks, courtyards, and anywhere else that requires a shade solution. Our customised shade sails Perth are highly effective and look fantastic, making them an ideal solution for any outdoor area. Here at Shade & Sail Innovations, we provide products for a wide range of residential and commercial applications. From small private pools through to expansive public areas, we have a solution to meet your needs. Typical commercial applications include community centres, shopping centres, construction sites, public parks, sporting fields and facilities, and playgrounds just to name a few. Because our designs have been customised to meet the demands of specific environments and engineered to last, they require very little maintenance. While we specialise in shade sails and outdoor blinds, we also provide alternate shade structures to meet the demands of your home or business. Our unique shade structures are available in a variety of styles and colour combinations, with strong upright posts used to support our innovative rectangle and square cloth designs. Whether you're looking for a residential design or a large-scale commercial solution, our low-cost shade sails and structures can be manufactured to meet your needs. Shade & Sail Innovations operate a fully fledged wholesale operation, with our high-quality designs shipped around the world to businesses in the lifestyle industry. Along with our residential and commercial sales in the domestic Australian market, we have been one of the leading local and global suppliers of these products for over 20 years. Here at Shade & Sail Innovations, we take great pride in our locally made products. While we love being represented in global markets, we're equally proud of our connection to Perth and the wonderful people who live here. The high-quality materials that we use are perfect for the harsh Australian climate, including our advanced cloth fabric that provides up to 96% UV protection while still keeping the ability to breathe. From the support structures through to the sails themselves, we only use the very best materials across our entire range of shade sails and structures. Our steel supporting poles and fixing materials are made to stand the tests of time, being galvanised and powder coated in the colour of your choice. 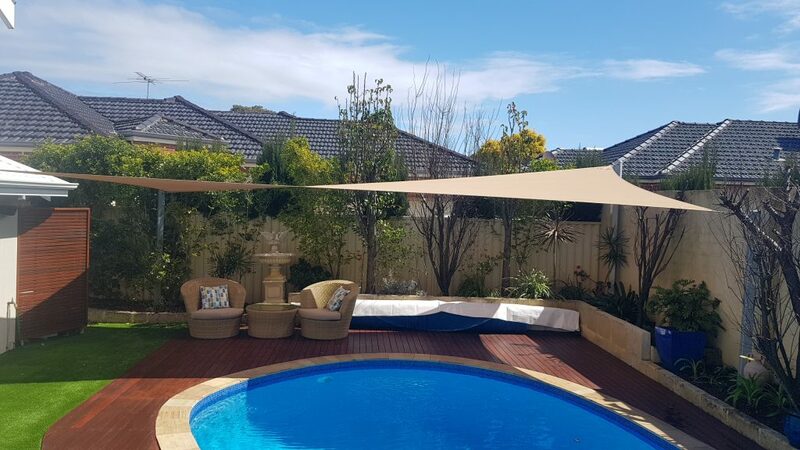 Our privately owned Australian business has been providing shade solutions to homes and businesses for over 22 years, with Shade & Sail Innovations continuing to offer a range of products and installation services across Perth and beyond. 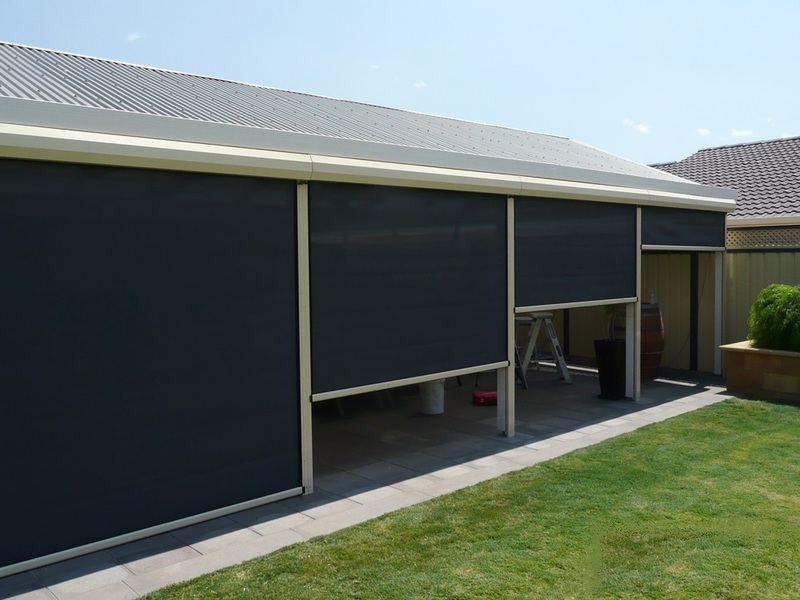 Shade & Sail Innovations offer quality outdoor blinds for harsh Australian conditions. Our unique products are perfect for a range of outdoor areas, with our innovative designs helping you to upgrade your home and improve your quality of life. The outdoor blinds available from Shade & Sail Innovations are designed to meet the demands of any location, protecting you from the weather while giving your home a new lease on life. Here at Shade & Sail Innovations, we supply and install Ziptrak® outdoor blinds. These products have been tried and tested in a range of conditions, with the patented track-guided design making operation easier than ever before. Ziptrak® outdoor blinds were invented in Australia, which means they're perfect for the harsh Australian climate. Along with its robust design, Ziptrak® is an innovative solution that is capable of gliding smoothly and stopping at any height. Shade & Sail Innovations provide a range of Ziptrak® outdoor blinds for both residential and commercial applications. The technology used in these Perth outdoor blinds looks great, with the high-quality materials and clever features only matched by the sophisticated design. Ziptrak® blinds feature a spring-balanced system, which makes those annoying zips, ropes, cords and wires totally redundant. This has a number of functional and aesthetic benefits, with the majority of blind material not seen thanks to the patented spring-balanced operation. Ziptrak® outdoor blinds have been designed to meet the needs of both residential and commercial customers. While the technology used is consistent, there are a number of different sizes, colours, and features available depending on your specific needs. Here at Shade & Sail Innovations, we specialise in Ziptrak® outdoor blinds and other outdoor shade solutions. Ziptrak® outdoor blinds can have a positive effect on your lifestyle, allowing you to create your own personal outdoor space that is both protective and inspirational. 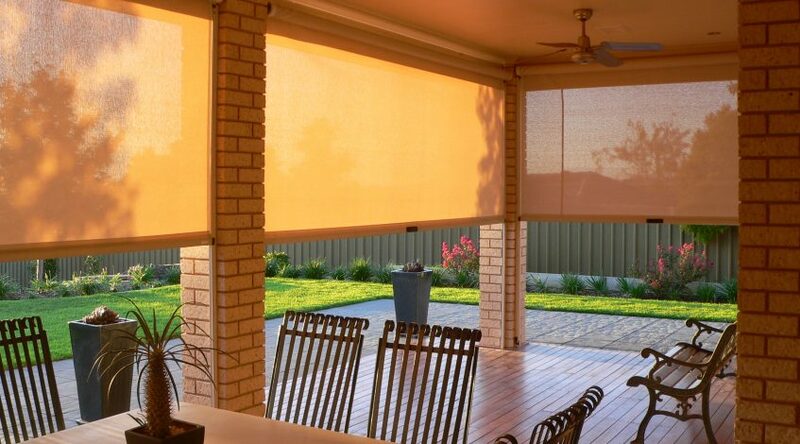 Staying connected with the outside world is an integral part of the Australian culture, with these fantastic blinds capable of enhancing your home, upgrading your lifestyle, and helping you to spend more time outdoors. Instead of spending money on a brand new home or undergoing expensive domestic renovations, you can get a similar effect by installing Ziptrak® outdoor blinds. This innovative solution can open up your home and expand your living spaces in a way that is both clever and cost-effective. Whether you want a fresh outdoor entertainment area or a quiet place to relax and enjoy a drink, Ziptrak® outdoor blinds Perth are designed to enhance your lifestyle. Shade & Sail Innovations provide Ziptrak® outdoor blinds and other shade solutions that help you to control your environment. The sealed system designed by Ziptrak® shields your living space and furniture from the elements and provides your guests with a safe place to enjoy themselves. 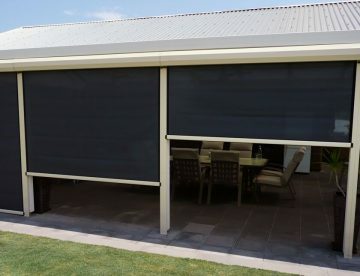 This outdoor blind solution is ideal for the Perth climate, allowing you to avoid insects, control airflow, access more natural light, and control temperature without losing that intimate connection with nature. Is Perth’s blazing summer sun stopping you from getting the most of your outdoor lifestyle? With affordable custom made Shade Sails from Shade & Sail Innovations, you can have shade and UV protection wherever you need it. was fabulous from the initial phone contact right through to the completed job. Honest professional team with a personal touch. Extremely satisfied with the production and genuine service. The highest quality of information , service and installation from start to finish. 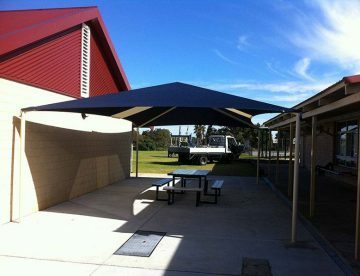 Superb and would highly recommend Shade Sail as outstanding in meeting our needs.